A new year has just begun and it’s time for a review of 2015 and New Year’s resolutions for journeys coming up this year. On the one hand, there are memories, events and experiences that have influenced us. On the other hand, there are expectations and surprises concerning the new year. Therefore I tested the new ZenFone Selfie in cooperation with Asus and took some delightful pictures of my view. Using the Asus ZenFone Selfie camera I took some pictures of some moments in 2015 and I also show you the front camera views of the new year 2016. Whenever I think of my 2015, I think of all the overwhelming trips, the nice people I met and the joy I felt when I was home again and hugged my friends. Thankfully everyone accepted what I do and supported me. Every birthday, barbecue or special day I missed was accepted without nagging, because there is this strong friendship which can’t be destroyed. So, I take a look at the year 2016 and decide to continue travelling around the world. Where? I am not 100% sure. It is the spontaneity and freedom that I love. Sometimes, I wake up after dreaming of a travel destination and just a few days later I am on a plane. In the New Year I would like to keep this independence and freedom. There are some people that I got to know who made 2015 memorable. So, on some trips I had some nice talks to a stewardess: on the flight to Moscow with Lufthansa and on my flight to Hong Kong with Emirates. They shared some private insights with me and so they never gave me the feeling of being a stranger while traveling. Therefore, it will be exciting which people will also accompany my way 2016. Getting to know people is one of the reasons why I travel so much. However, one of the most crucial moments in 2016 will be the release of my PhD thesis. In addition to the blog I have been working for almost three years on my PhD at the Institute of Tropical Medicine in Hamburg and now it is time to finish my work. 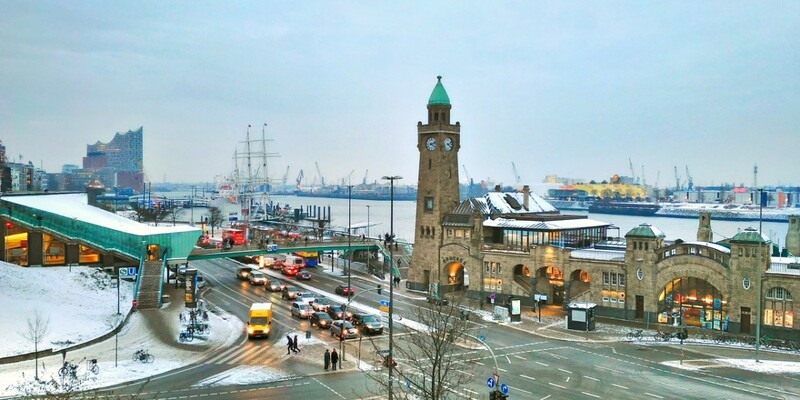 The view out of my office over the Port of Hamburg is unforgettable. I look back on my 2015 with happy and sad thoughts and certainly the New Year will bring lots of fantastic moments that are still in the stars now. The outlook review describe any prespective democracy and suddenly inspire any websites. Tropical Medicine? You’re a DOCTOR??!?? Oh, man, I knew you were smarter than me, but I didn’t know how much. Please put the U.S. on your travel list this year and come examine my hives.